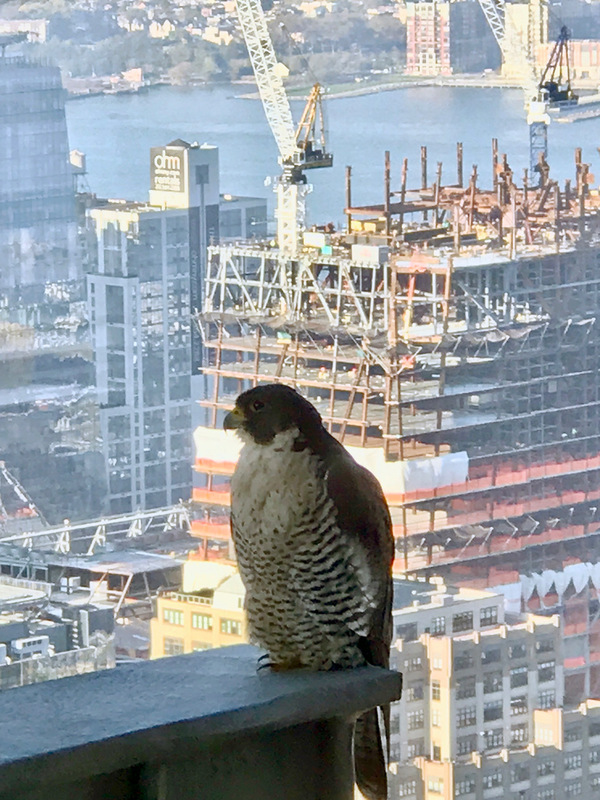 To almost everyone’s delight, peregrine falcons have settled in Manhattan. There are currently about half dozen pair. Falcons mate for life. They adapt to city life remarkably well. 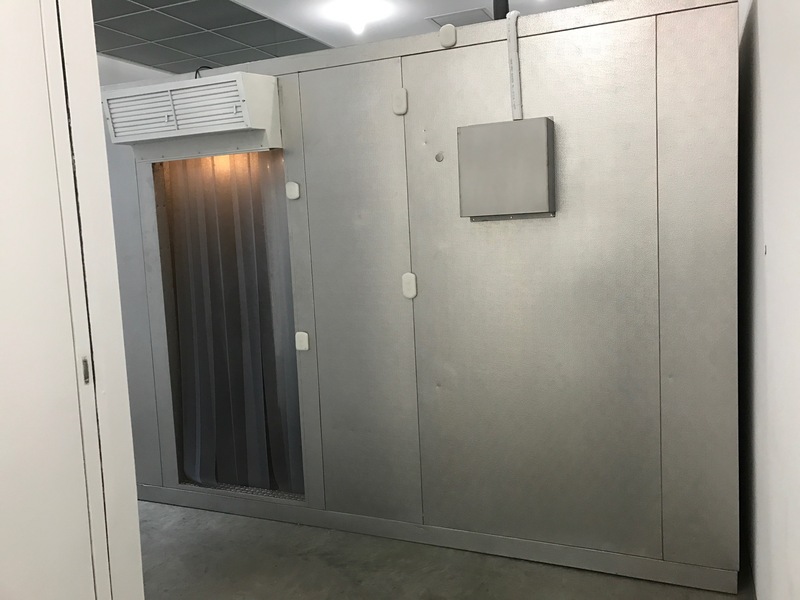 There’s shelter and an endless supply of rats and pigeons to eat. They should’ve moved in ages ago. 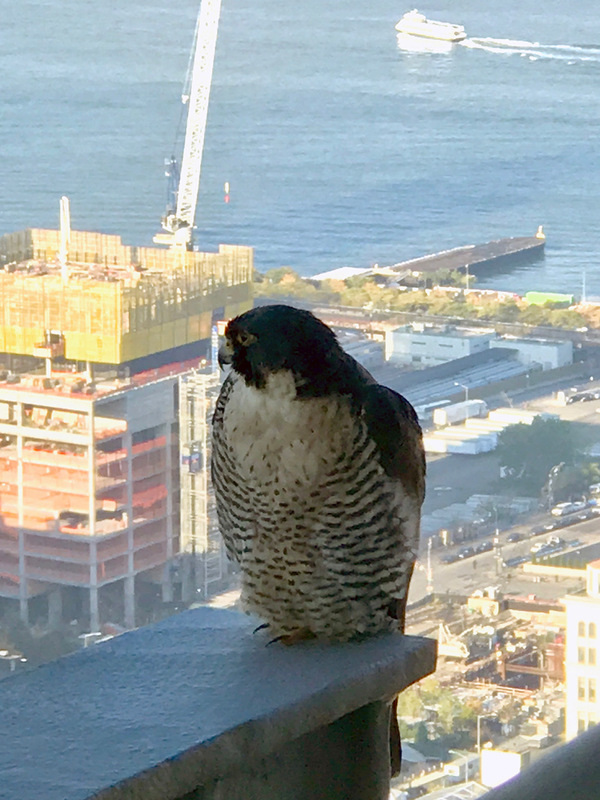 This guy occasionally perches on a beam outside my office. I took these from different angles to get varied, more interesting, backgrounds. I’m up on the 50th floor. It’s so high that mobile phone signals don’t reach us. We need repeaters installed in our ceiling. Helicopters fly by at eye level. 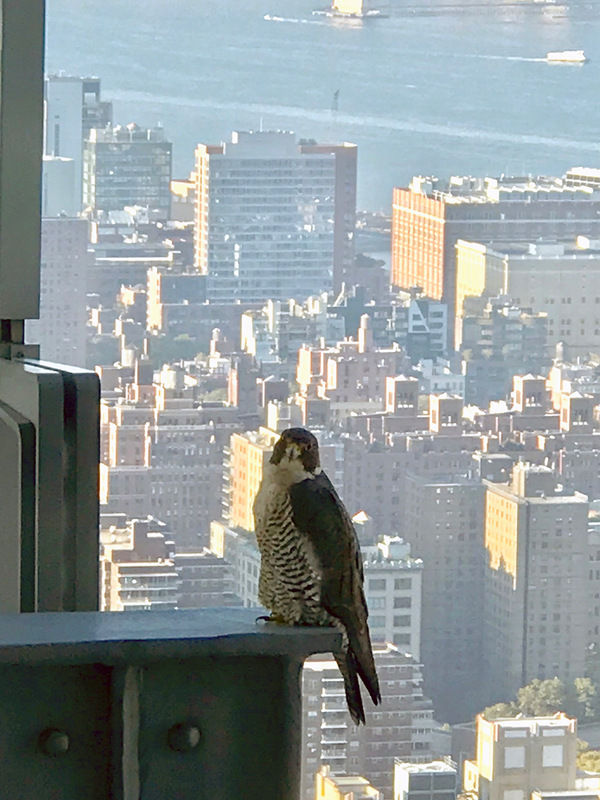 No other city bird flies up this high. We never see pigeons or sparrows up here. Early in the summer it’s usually a mother and an eyasses. That’s a baby falcon. They’ll perch on opposite beams and screech at each other. By autumn they’re on their own. They are FAST. Peregrine falcons have been clocked at over 200 mph. I’ve only witnessed one departure. He spread his wings, dove off the beam and shot straight down towards the street like a bullet. He was gone in a blink. I said ALMOST everyone is delighted. 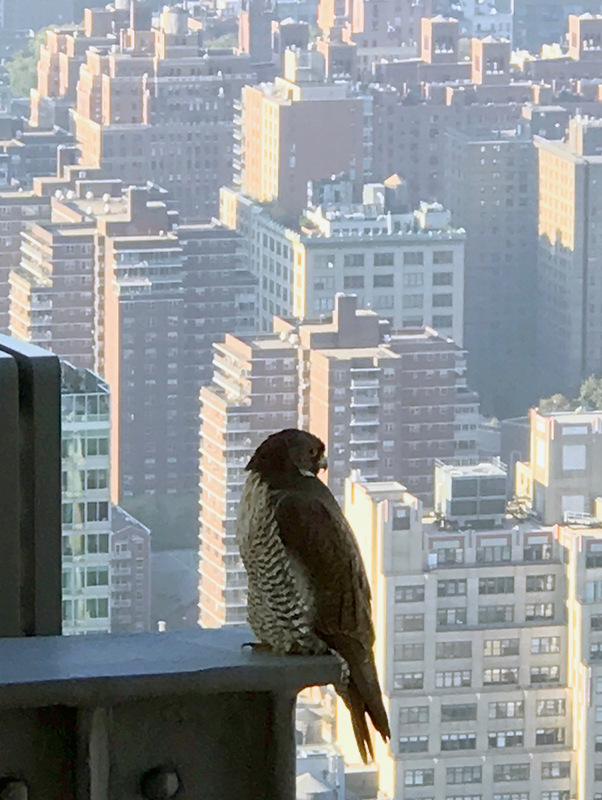 There are luxury apartments along Central Park on the Upper West Side that have tried to have falcon nests removed from their eaves—eyasses and all. Apparently, a dead rat or two can fall out and land at the entrance. To my complete delight, the tabloids laid into them as unfeeling, rich prigs so they backed off. 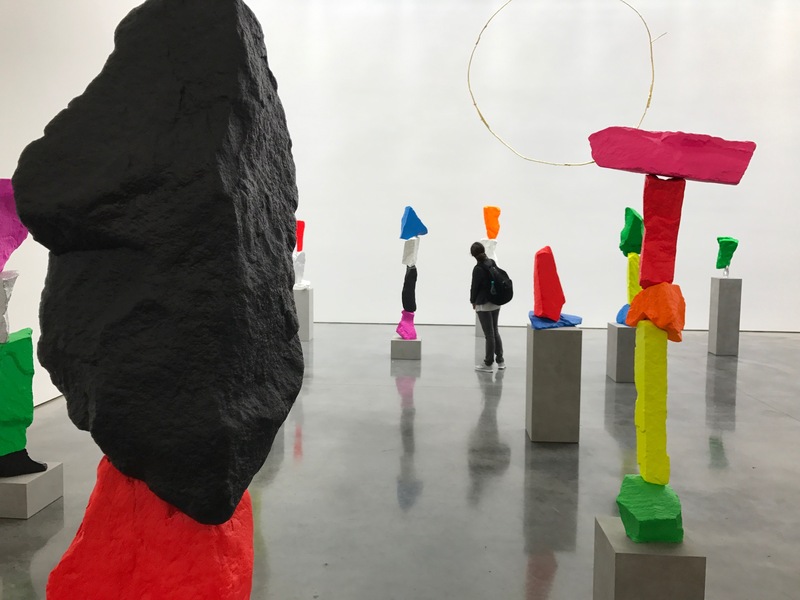 Currently at the Gladstone Gallery’s 21st street space is Ugo Rondinone’s the sun at 4pm. The literature gussies it up as ‘a visual link between nature and the human condition.’ Yeah, yeah. Whatever. 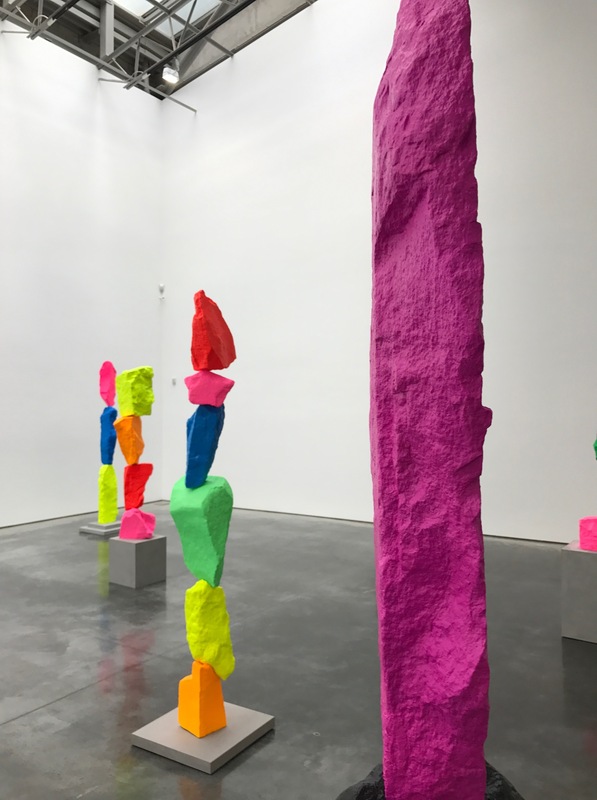 What I see is a room full of vibrantly colored stone sculptures. 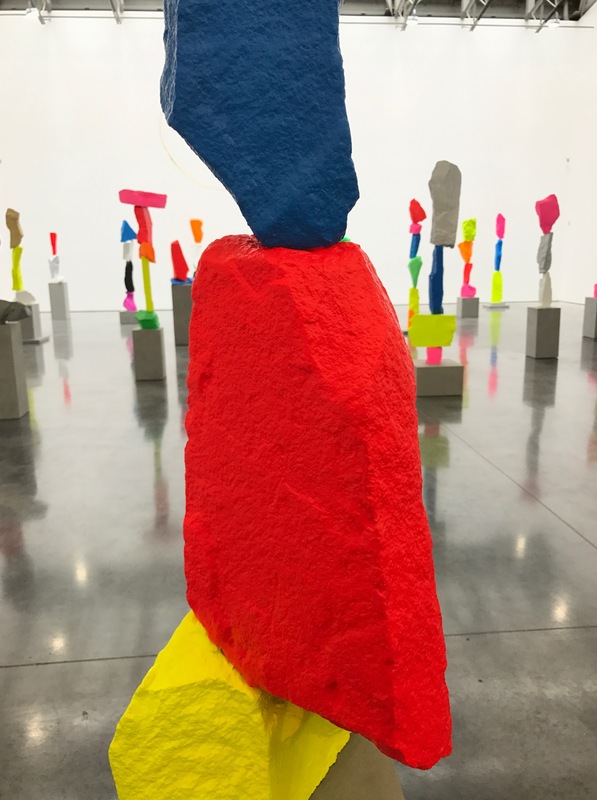 What’s cool about it is you can weave between sculptures and get all kinds of playful angles and shades. The light pours in through a skylight and what you see depends on how the light hits them. 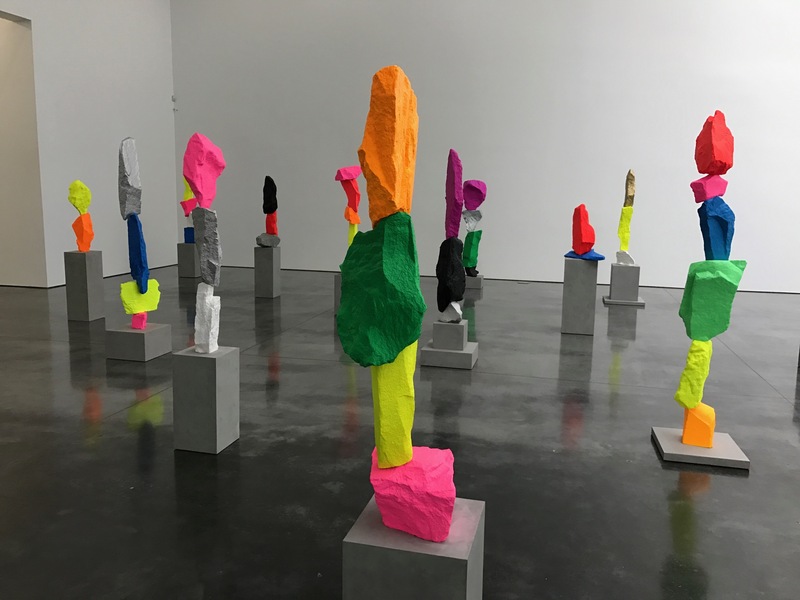 The sculptures seem haphazardly strewn about the room but you can detect some order if you stand the right spots. I wish they had stuff like this back when I was still doing bong hits. Can you imagine this on hallucinogens? 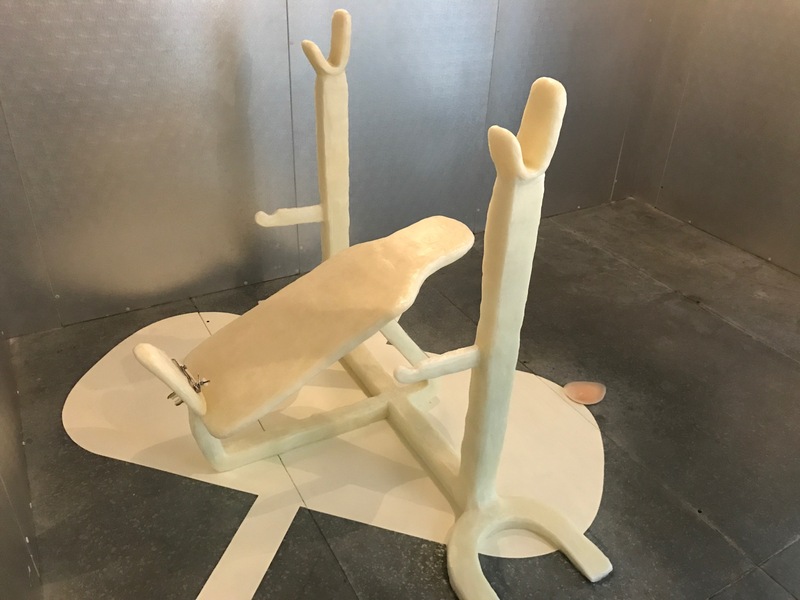 Barney, a hulking physical fitness nut, created this bench press. The structure had a translucent interior skeleton but it’s mostly made of petroleum jelly. It needs to be kept cool or it’ll melt. Jesus, baby, take it easy. It’ll be okay. On a press junket in 2000 for Dancer in the Dark, Björk claimed making the film was “…like signing on to war, going to the Vietnam War. I believed I might die.” She’s a little prone to histrionics, to say the least. Can you imagine being married to that? 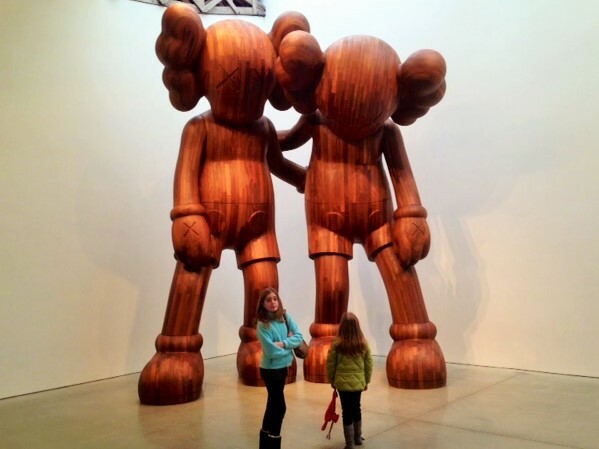 This is a giant work. It covered an entire wall. 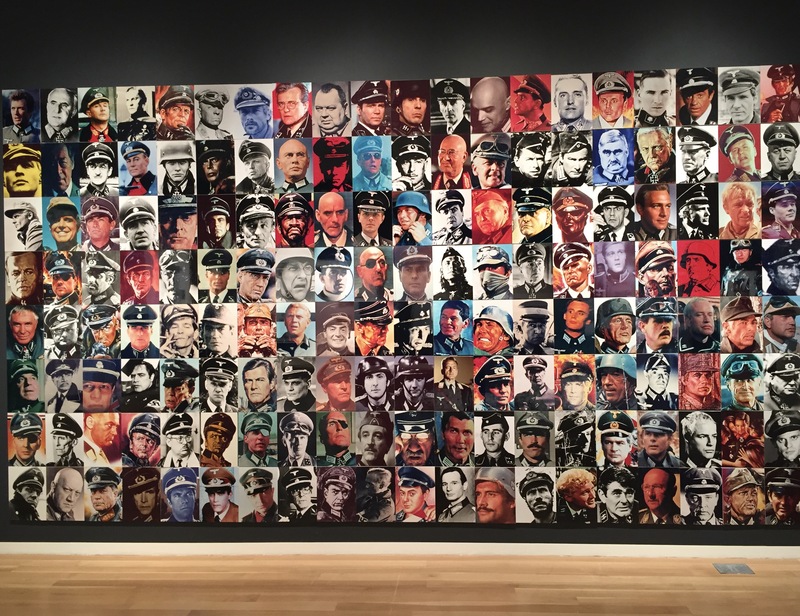 They’re stills from movies and television that show various actors portraying Nazis. It’s like Where’s Waldo for the Third Reich. I uploaded a high resolution pic so you can click on it and see how many actors you can identify. Can you spot the young Clint Eastwood? How about Werner Klemperer from Hogan’s Heros? It’s fun! Except the part about them being Nazis. 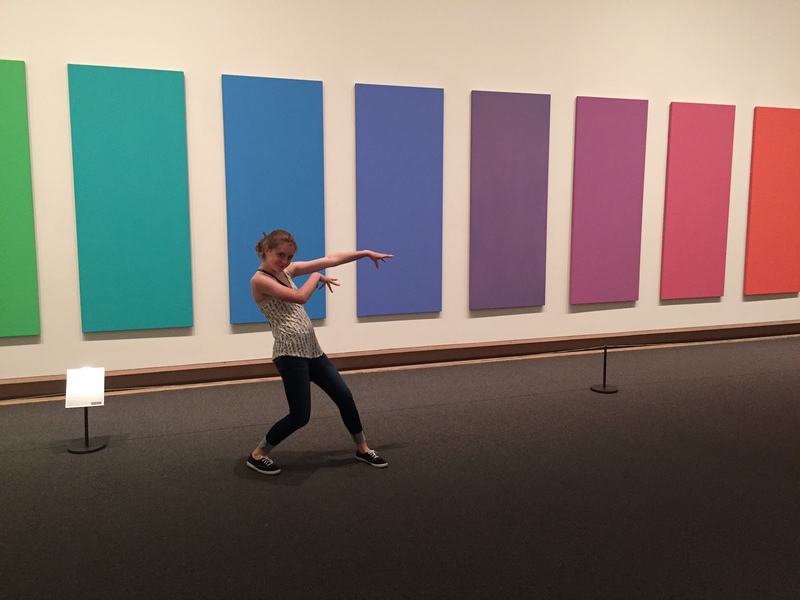 Daughter hamming it up at the Metropolitan Museum of Art in front of Ellsworth Kelly’s Spectrum V. My girls make me laugh.